A big heart for the people – this community health volunteer is changing lives. Catherine is a 48-year-old mother of four living in Zambia who wants nothing more than to give back to her community through her volunteer work with our partner hospital. Catherine was overjoyed when she heard about the opportunity to become a community health volunteer with Operation Eyesight. However, Catherine’s family was not so thrilled. “Why would you want to work for free?” They would ask her. “I volunteer because I’m helping people. It’s my dream come true!” Catherine says. She always wanted to help the people in her community. As a girl, she had wanted to become a nurse. Unfortunately, while she was still in school her father retired and left her village, and she wasn’t able to finish her training. Later on, Catherine’s husband passed away, leaving her to raise four children alone. Two of her children have since married and moved into their own homes, leaving Catherine with her youngest daughter and son. To make ends meet, Catherine became a merchant at the local market, and has since established a small grocery store near her home which provides her with a steady income. Because Catherine’s family is supported by the grocery store, she’s able to volunteer in her community as an eye health worker. Plus, she was a natural choice for the position because she had the necessary base-level of education for the job. Her day starts early as she prepares to go to the Chawama eye clinic, one of our partner hospitals in Zambia. She performs door-to-door eye screenings, and sometimes she works in the eye care department supporting ophthalmic personnel. As a volunteer, Catherine advises people in her communities to seek professional health care in general, not just eye care. Catherine’s work is challenging, especially not knowing how people will react to her when she visits each household. Some welcome her while others refuse to even talk to her. The people who refuse her do so because they believe that community health workers might bring diseases with them. In some cases, adult patients agree to be screened, but won’t allow their children to be screened. This is often because of religious superstition. That’s why community health workers always carry identity cards with them. The cards are provided by the hospital and prove that they work for the hospital, and are not part of a religious cult. In some cases, it’s a lack of education that influences patients’ reactions. 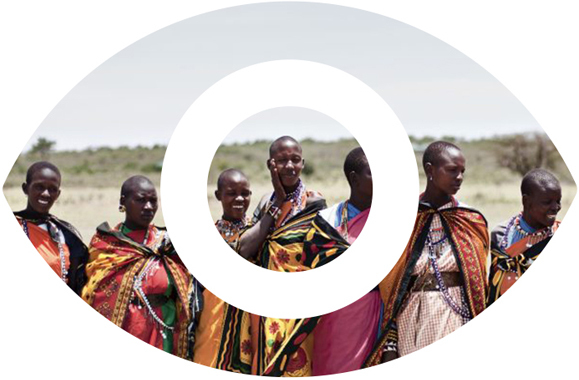 One patient stands out in Catherine’s memory – a lady by the name of Sabina who couldn’t see because of bi-lateral cataract (cataract in both eyes). Sabina was too afraid to go for surgery because she’d been told that the doctors would remove her eyes and put them on a dish to wash them before replacing them. A story that would discourage anyone! But Catherine’s counseling helped Sabina make the decision to have cataract surgery — and today she is so very excited to see again! After seeing all the good Catherine has done through her volunteering, her family members are now supportive. Community health workers are well-respected. Many people will seek them out for advice on various health issues, especially eye health care. 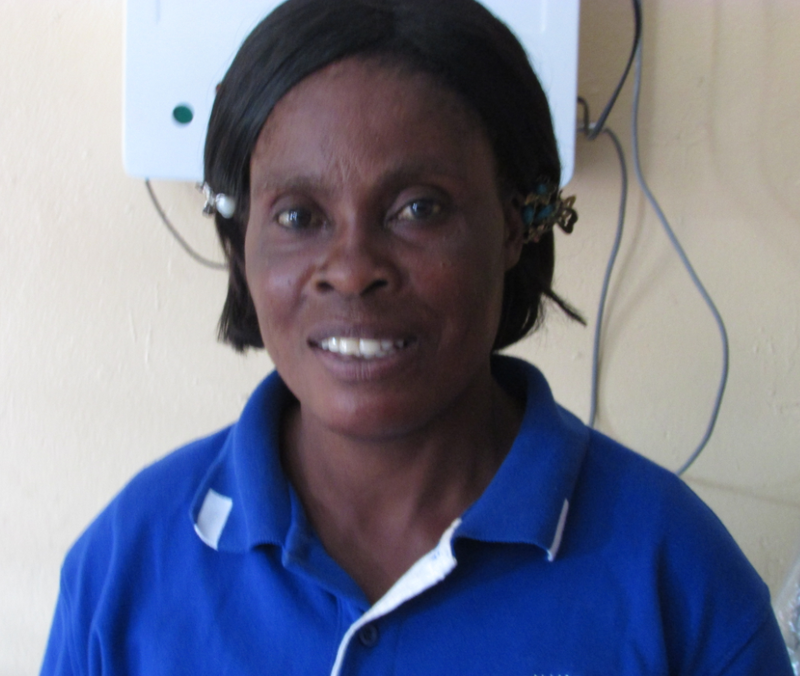 “Even neighbours in my community will look for me when they visit the clinic to ask me about the various processes. I’m always happy to help them,” says Catherine. Catherine plans to continue assisting the community even after the project is complete. She knows there will always be a need for health work. Catherine has encouraged others to volunteer as community health workers so they can also help those in need in the community. Although Catherine may not be paid for her work, there are other benefits that come with being a health worker. “Thanks to the work I do, I’m regarded as a member of the staff at the eye clinic, which gives my family and I ready access to the health care we need right when we need it,” says Catherine. Catherine is thankful to everyone involved in her work including the doctors who treat patients and her fellow community health workers. She’s especially thankful and so grateful to the generous people of Canada for their donations. “The donations from the people in Canada are helping the Zambian people, especially in the community of Chawama. Now many lives have been changed with the gift of restored vision,” she says. Just imagine how much good your gifts have done. The community of Chawama are receiving the eye health care they need, and women like Catherine are empowered to make real and tangible changes for the better in their communities. There are still many communities who need your help – please consider giving to our community screening and outreach program today to help other communities like Chawama.